Anyone who knows me knows that I am not a morning person. At all. 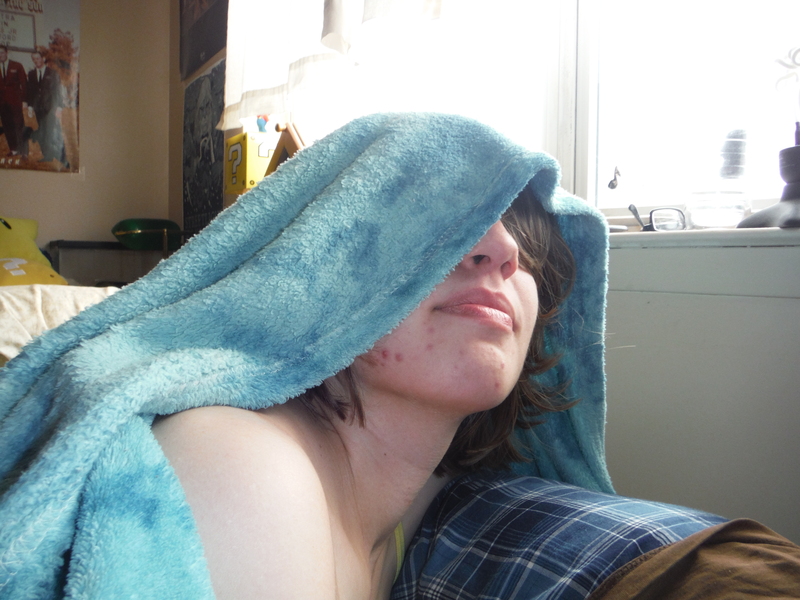 I enjoy my sleep, and I enjoy it well into the late hours of the morning. And those times I do have to get up early it takes me a long time to get going. So knowing my breakfast is ready and waiting for me when I get up is a load off. While there are some other types of breakfast that you can prepare in advance, today I’ll be tackling everyone’s favorite winter breakfast: oatmeal. What is this morning you speak of? The first way to make overnight oatmeal involves some special equipment: a slow cooker. Slow cookers are cool because you can put food in them, leave it alone for hours, and when you come back your food will be ready. I find this especially useful for breakfast since it means you can put everything in before bed and wake up to breakfast ready and waiting for you. 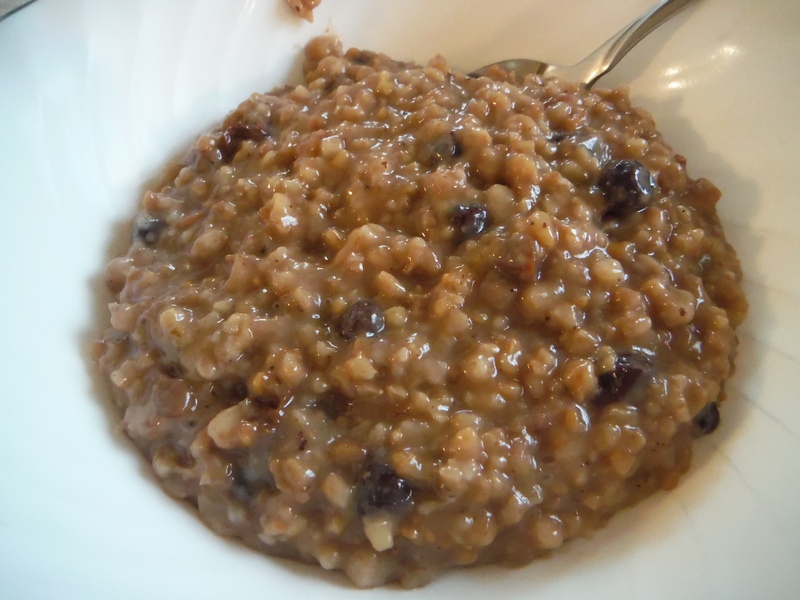 Since it cooks for a long time, slow cooker oatmeal requires steel cut oats. 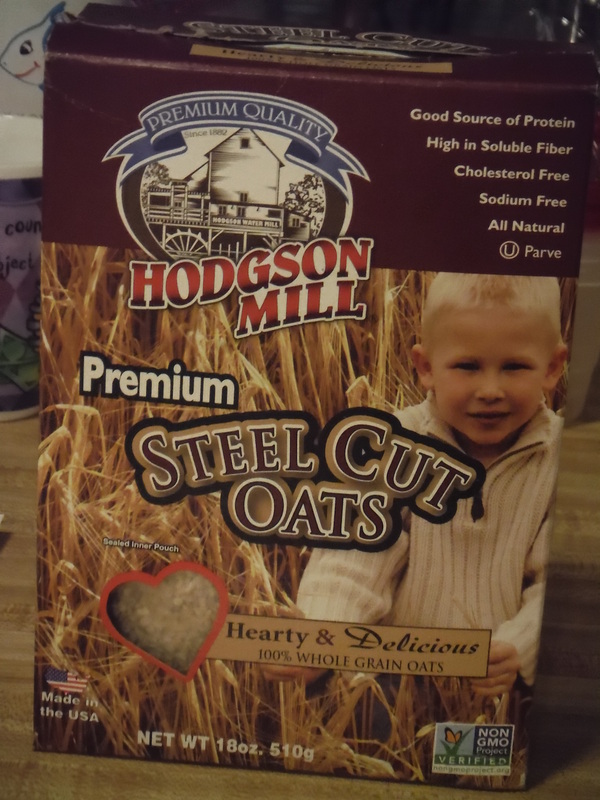 Steel cut oats are whole oats that have been cut down to a smaller size, but not processed and rolled the way rolled oats are. 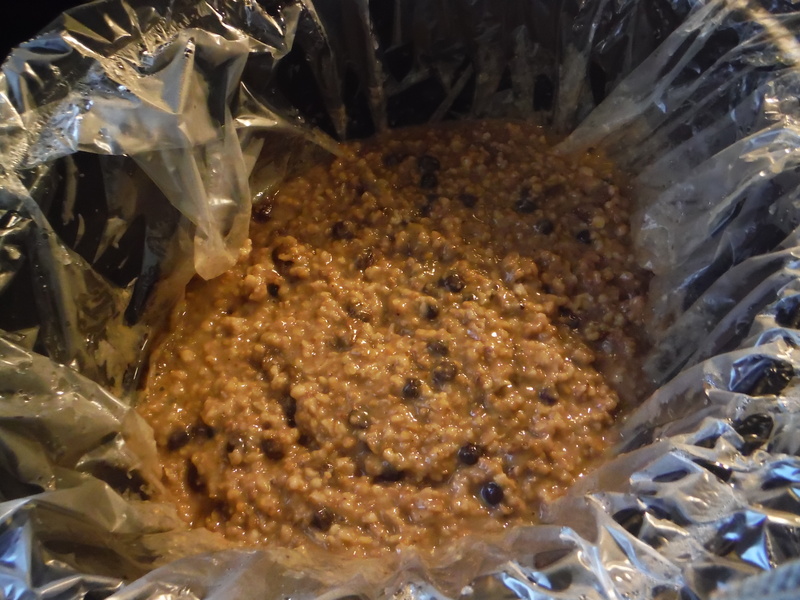 As a bit of a pro-tip, I highly recommend using a slow cooker liner when making overnight oatmeal. The whole point of this meal is to streamline your morning, so you don’t want to be slowed down scrubbing out your slow cooker. With a liner, after you store your leftovers you can just toss out the liner and then be on your way. It’s not going to look like much when you go to bed. Set to low and cook 8 to 9 hours. Stir well, eat, and enjoy! Now it looks like food. Unless you’re making this for a lot of people, you’re probably going to have a lot of leftovers. But this is good! Because now you have oatmeal ready for the next few days. Just store your leftovers in an airtight container in the fridge. To eat the leftovers just reheat in the microwave, adding a little extra half-and-half or milk to restore creaminess. Now I know not everyone has a slow cooker, and you’re probably sitting there pouting because you want to have your oatmeal waiting for you in the morning too. Well never fear! 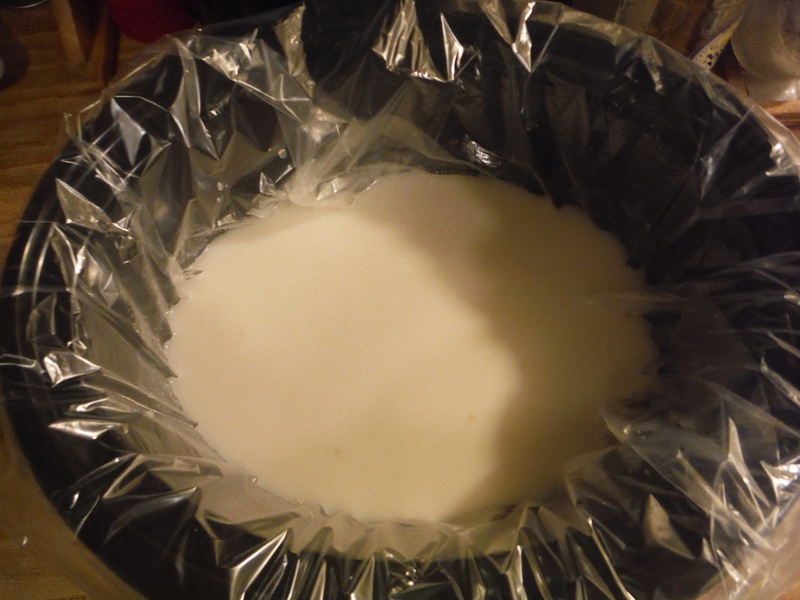 There is another type of overnight oatmeal and all you need for this one is a refrigerator. For this version of overnight oatmeal you’ll use regular rolled oats instead of the steel cut ones. So there you go. Two ways to have your oatmeal ready and waiting for you when you wake up in the morning. Go ahead and hit snooze a couple more times, you have one less thing to worry about now. Posted on February 3, 2015, in Cheat Codes and tagged blueberry, breakfast, cereal, cherries, easy, gluten-free, healthy, oatmeal, recipes, vegetarian, yummy. Bookmark the permalink. 1 Comment.